HURRAY ~ IT HAS A NAME! With a little help from Kay, my new FAV afghan has a name! I am soooo loving the waffle-weave texture! As soon as I turn the corner so to speak, (when I begin the decreases) I will be able to finish the written pattern and share it. I just want to make sure that I get it right the first time as I sooo dislike writing out patterns and then having to go back and fix them. I am hoping to have it written out within the week. 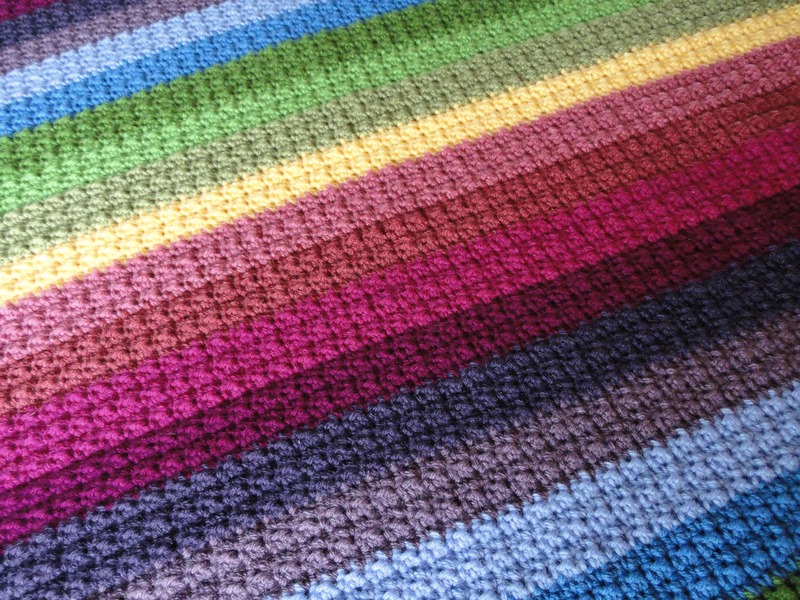 I am loving this one…………what was your choice of yarn? There are 11 colors of Vanna’s choice, of those the light blue “Bluebell” and yellow “Ducky”are from her baby collection; and 1 from Red Heart, the bright blue is “Delft Blue”. I am using about 1 & 1/2 skeins of each. I expect to need 1 or 2 skeins for the border as well. I am also planning a matching pillow cover with the left-overs. PS ~ size “K” hook. 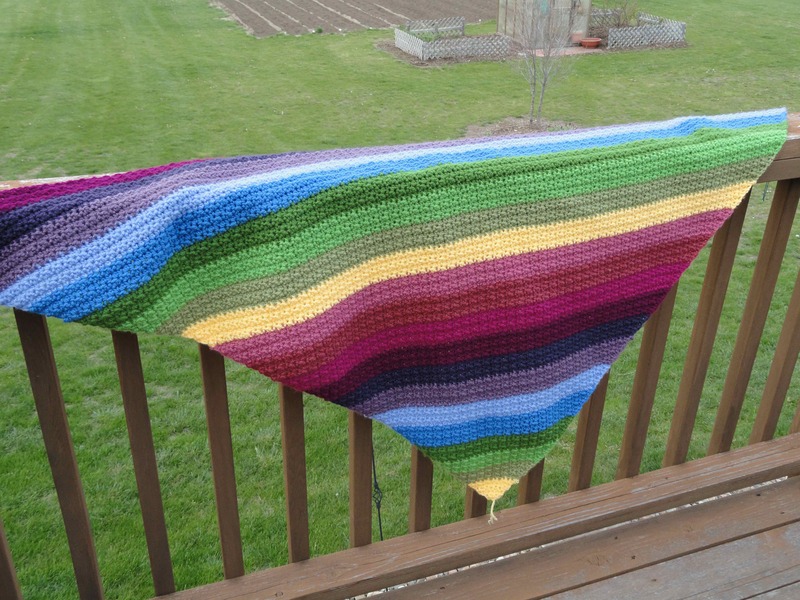 How do I find instructions for this afghan? On this post 🙂 Happy hooking!